Indian Island is lcoated in Humboldt Bay between Woodley Island and the Samoa Peninsula. The Eureka City Council is will start the discussion process on returning Indian Island to the Wiyot Tribe. Indian Island is described as a parcel of land in Humboldt Bay between Woodley Island and the Samoa Peninsula. It was home to a number of tribal villages including the Tuluwat. The island has a brutal history of its original native population being massacred by white settlers in 1860. According to the council’s agenda, city officials plan to hold the public hearing on the return of Indian Island and also adopt a resolution where they will negotiate the transfer. 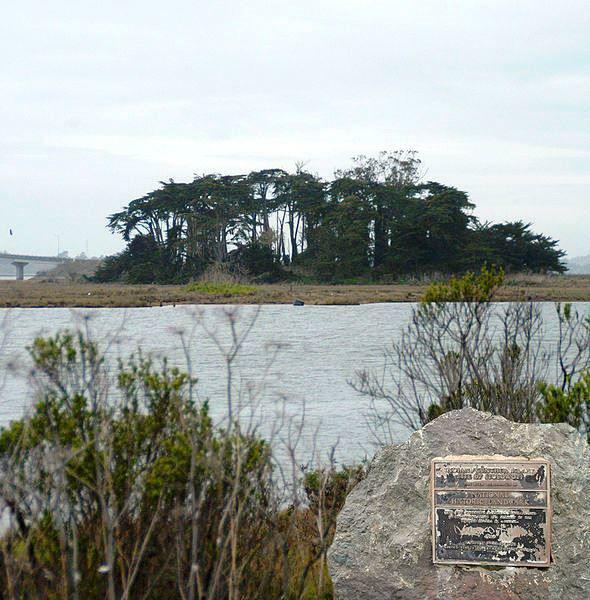 In 2000 the Wiyot Tribe purchased the 1.5 acres of Indian Island through grassroots efforts and in 2004, the tribe had recieved more than 40 acres from the city of Eureka. More than a decade later, the Eureka City Council unanimously decided to retrun the rest of the parcel to the Wiyot People. 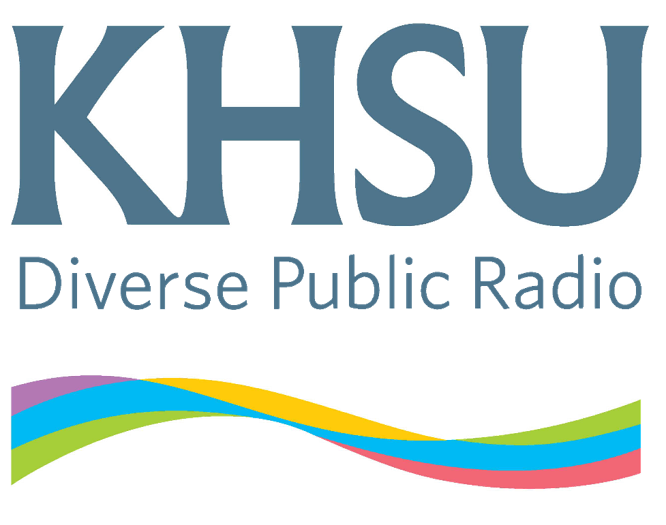 In 2016, Tribal Chairman Ted Hernandez told KHSU that the return of Indian Island was a process of healing between both the tribe and the city. That same year, the tribe protested an outspoken member of the community, Rob Arkley, who opposed the return of the land to the Wiyot Tribe. More information on Indian Island can be found here. **The Eureka City Council meeting takes place today (Tuesday) December 4, 2018 at 6 p.m. The meeting location is in the council chambers at 531 K Street in Eureka. It started with burning of sage and several supporters gathering around the small Security National building on Eureka's fifth street. The building is owned by Rob Arkley, a local real estate tycoon who wanted to purchase a property known as Indian Island from Eureka instead of the city transferring it to the Wiyot Tribe. Within a few hours the crowd multiplied with nearly 100 protesters lining both sides of the street near the E Street intersection. Today my guests are Ted Hernandez Tribal Chairman of the Wiyot Tribe; Michelle Vassel, Tribal Administrator; and Tim Nelson, Director of the Natural Resources Department. They are here to talk about the return of Indian Island to the tribe, the cleanup of the contaminated former boatyard at Tuluwat Village, and the recent revival of the tribe’s World Renewal ceremonies that were interrupted in 1860 by brutal massacres. An interview with Ted Hernandez, Michelle Vassel, and Tim Nelson of the Wiyot Tribe about the cleanup of Indian Island in Humboldt Bay, the return of the island to the tribe, and the recent revival of the tribe's World Renewal Ceremony. Michelle Hernandez is a Wiyot tribal member and grew up on the Table Bluff Reservation. She has a soon to be released film titled DOUK, about a family that faces the abduction of their daughters to one of the many Native boarding schools in early 20th century America. Michelle Hernandez on her new film, DOUK. Douk is a historical fiction drama based in the 1910’s era. It tells the story of a young Native girl, Irene, who deals with a difficult reality of her and her sister being taken away from their family and sent to boarding school, where they will be assimilated into the western culture. This means that once this happens, they will no longer be able to practice their language, culture, and traditions.